by Snail Games USA Inc. 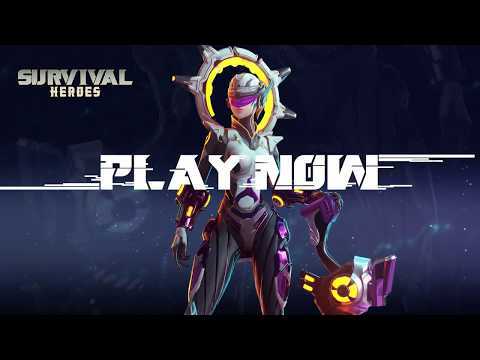 Experience Survival  Heroes, a distinctive nonlinear multiplayer online battle royale! Get ready to gather your friends, explore treasures and crush any others in your way. It ’s time to prove if you are the king of the valley. Will you be the last one standing? How about have some chicken in a MOBA game? It’s easy to get started with traditional MOBA game control and fun to master it! The brand new hybrid ‘MOBR’ gameplay will give you the experience you have never had before! No need to choose your champion in the beginning anymore. In Survival  Heroes, only your survival instinct will be put into test. To be the king of the valley, you will need to improvise by picking up the right gear at the right moment. Survival  Heroes contains almost 30 distinct weapons with hundred skills. You can use the fierce firepower to kill everyone in your way, or you can set traps, lurk in the brush and wait for your enemy to step on. Every player starts the same in the valley of heroes. Go pick your first weapon and have a fair fight with others, explore the vast land of dangerous creatures and loots! Also, be wary of the brush and mist, because you will never know what’s in there. Now! EU has been added. @pml what's going on bro?